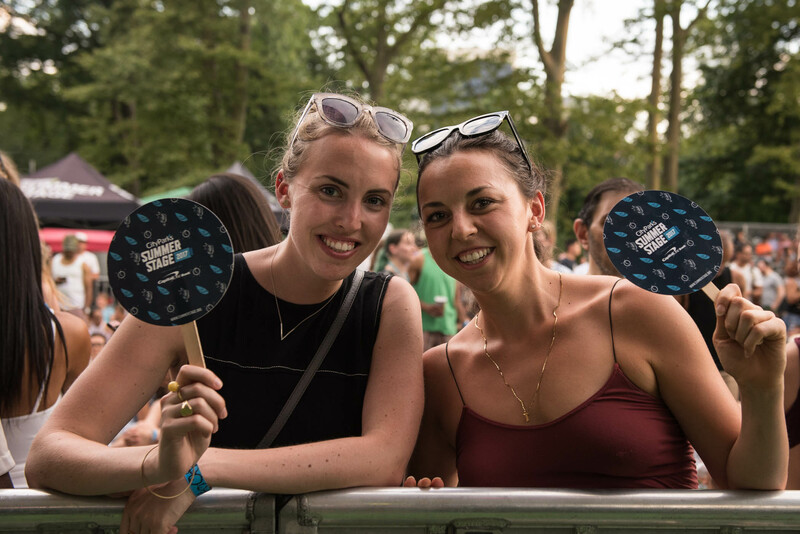 We look forward to you joining us for another summer of amazing concerts and performances at SummerStage in 2019. Here are some tips to help you plan your visit with us. Our neighborhood park performances run from June - August and our Central Park series will run from June - October in 2019. Times vary per show location. For Central Park and Coney Island shows, doors open one hour prior to the listed showtimes. In all other locations, shows start promptly at the times listed on the schedule. SummerStage is located in our flagship home at Rumsey Playfield (E 71st St and East Drive, New York, NY 10021) in Central Park and also in an estimated 17 additional parks that span across the 5 boroughs. For more detailed information on show locations check back in spring 2019 for our updated park schedule. SummerStage is produced by City Parks Foundation, an independent nonprofit organization. City Parks Foundation (CPF) is dedicated to invigorating and transforming parks into dynamic, vibrant centers of urban life through sports, arts, community building and education programs for all New Yorkers. Our programs — located in more than 350 parks, recreation centers and public schools across New York City — reach 300,000 people each year. Our ethos is simple: thriving parks mean thriving communities. For more information about CPF, please explore the menu bar above on this website. When will the SummerStage 2019 lineup be announced? The lineup will be announced in April 2019 on our social media channels and on our website. Please check back on our website in April 2019 for our full season lineup. As a volunteer at SummerStage, you will help greet guests and answer questions all while enjoying a great performance! Email Volunteer@CityParksFoundation.org for more information and to sign up today. I still need some assistance! If you have a question you still need assistance with, please contact SummerStage@CityParksFoundation.org or for up-to-date information visit us on Facebook, Twitter and Instagram. How can my organization partner with SummerStage? City Parks Foundation's SummerStage seeks to increase community involvement and grow opportunities for local nonprofits, cultural institutions, neighborhood groups, and artisans to participate in the festival taking place in parks in all five boroughs. We are accepting applications now for community partners in Herbert Von King Park, Betsy Head Park, Springfield Park, Queensbridge Park, Corporal Thompson Park, Soundview Park, Crotona Park, East River Park, and Marcus Garvey Park. Apply now to partner with SummerStage!